Are you having some cravings for something salty? But you’re trying to be healthy, too? Well, I usually have a sweet tooth, but every once in awhile I just want a salty, savory type snack, too. So, I have found a few snack ideas to share with you today. I hope you will give them a try and let me know what you think. I also created a video on this same topic, so click below if you want to take a look. The first one is my newest replacement for potato chips. I like to eat a wrap or sandwich at lunch and instead of fatty, high calorie chips, I have these pea snaps. 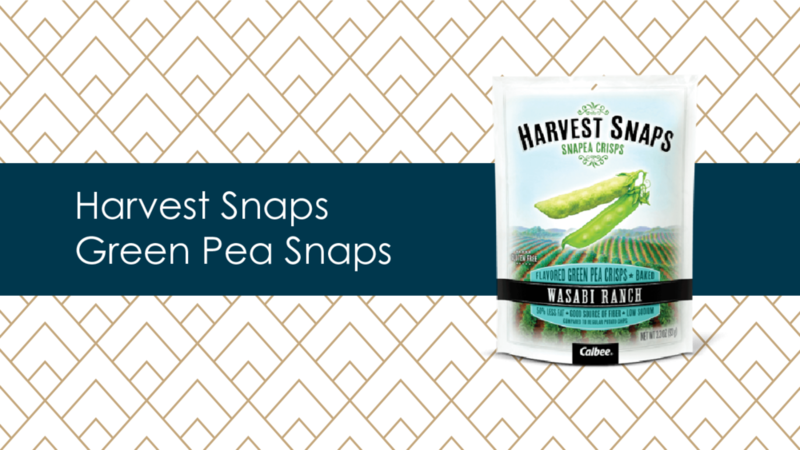 I find these Harvest Pea Snaps at Target in the fruit and vegetable section, although they are not refrigerated. They are made from whole green peas, which sounds kind of gross, but they aren’t. Trust me. They have a puffy Cheeto type texture and are light, airy, crunchy and salty. They have a lot of great flavors like caesar, tomato basil, black pepper, habanero and white cheddar. Ingredients are green peas, vegetable oil, rice, salt calcium carbonate and vitamin C. You can eat 22 of them for 120 calories. So not too bad on the ingredients and calories, yet they are really tasty. Another good potato chip replacement are these crunchy chickpeas by the Saffron Road brand. These are in the sea salt flavor, but they had other flavors – some were more spicy. 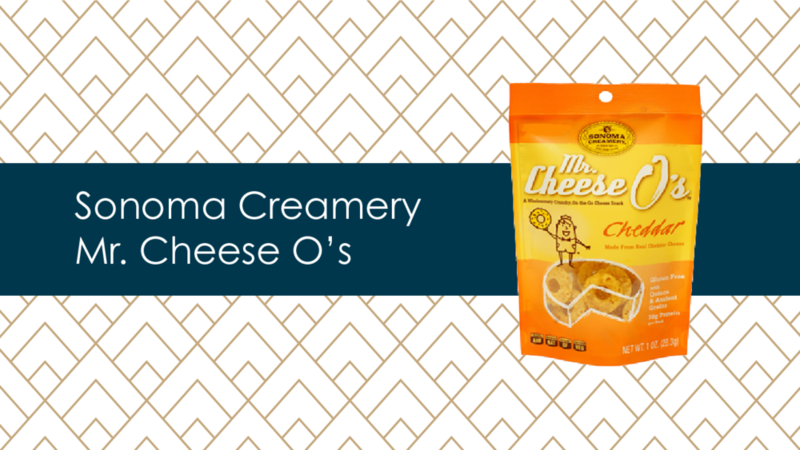 The ingredients on these are organic chickpea, organic canola and sunflower oil, sea salt, rosemary and ascorbic acid. They are very crunchy and you can have ¼ cup for only 130 calories. I have seen several brands of these dried cheese crackers lately. I guess with the keto and low carb craze, they are in demand. This one is from the Sonoma Creamery brand and are called “Mr. Cheese O’s”. They are in the cheddar flavor, but I have seen others in parmesan and white cheddar as well. They are very hard and crunchy and have a strong cheese flavor. The ingredients on this one are cheese, organic quinoa, organic oat bran, organic brown rice and garlic. So, very simple ingredients and something you can throw in a bag and take with you as a quick snack filled with 10 grams of protein. Another thing I like to do with these, especially the parmesan flavor, is to use them as a replacement for croutons on a salad. Another favorite are these rice crackers. These are from Whole Foods and they have Everything Bagel flavor on them. But a lot of different brands make rice crackers and they come in a lot of flavors. I have seen cheese, brown rice and garlic, to name a few. So, there are lots of options. They are round and crunchy and I like to top them with some cheese. What I love about these is that you can eat 16 of them for only 120 calories, so if you are feeling snacky, you can just keep going and not feel too bad about the calories. Plus, since they are low in calories, you have room for adding that cheese on top. Another really simple idea is to scoop out an avocado, add some salt and dip veggies or those rice crackers in it. It is high in calories but it’s a healthy fat for your body and should keep you full for a really long time. 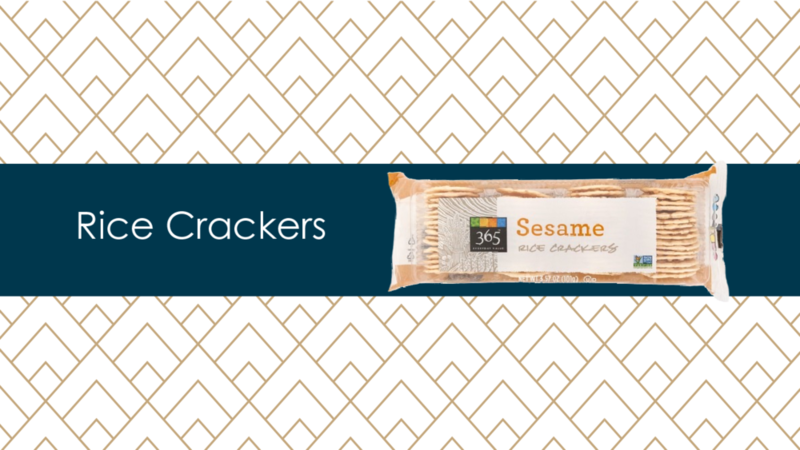 This is great if you are needing a more substantial snack. You could also just grab some hummus as a dip with those veggies or crackers. The Sabra brand has a lot of different flavors like roasted red pepper, pine nut, spinach and artichoke. And my personal favorite – roasted garlic. It has chopped garlic sitting on top, so you get the little chunks of garlic when you scoop, which it makes it really savory and delicious. So those were some of my favorite salty savory snacks. If you liked this, you might want to check out my low calorie dessert ideas post. What are your favorite salty snacks?